Interconnection Network: exascale performance can only be reached by interconnecting millions of computing cores, their (volatile) memories and (non-volatile) storage, special-purpose accelerator hardware, and their input/output (I/O) devices, in a way such that all of them can cooperate tightly and effectively in solving one huge problem in a reasonable amount of time. 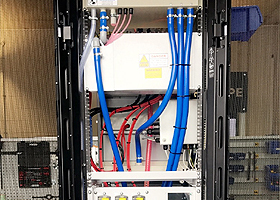 This amounts to huge chalenge for the network that implements this interconnection and its interface to the hardware and software components of the entire system: it has to be fast, resilient, and low-cost, both in term of cost-to-build and energy-to-operate. 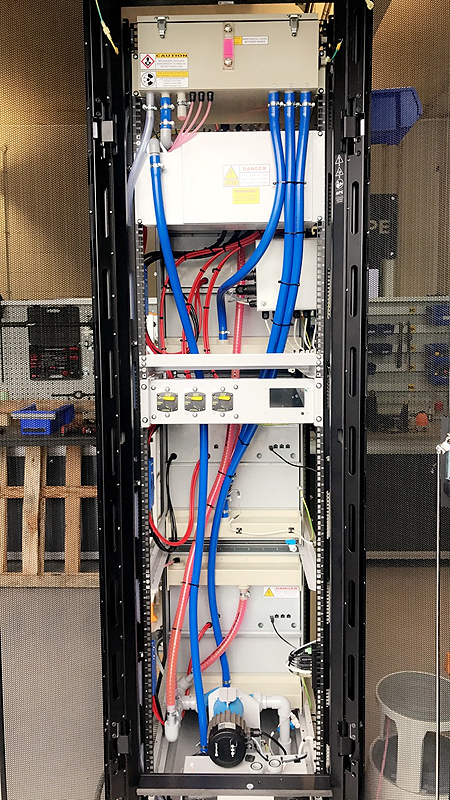 We develop and prototype innovative hardware and software for such networks to become tightly integrated with the system components, to become faster, to offer better quality-of-service (QoS) – especially congestion mitigation, to be resilient to failures, and to consume less energy. Storage: traditional supercomputers used a large number of magnetic disks for storing non-volatile and permanent checkpoints and data, where these disks appeared as I/O devices to the computing cores. Storage technologies now change to flash and non-volatile memories (NVM), featuring dramatically lower latencies; interconnection and software architecture have to alo change, in order to take advantage of such much faster access times. We develop and prototype a distributed storage system where NVM's are local to the compute cores hence fast to access at low energy cost, yet the aggregate NVM's in the entire system form a unified storage. Cooling: communicating at low delay and energy cost requires physical proximity, i.e. packing thousands of cores and their components into a blade board and packing about a hundred blades into a rack (which also economizes on installation floor area). The by-product, unfortunately, is a large heat density to be removed. We develop and prototype innovative Packaging and Cooling technology, based on total immersion in a sophisticated, non-conductive, engineered coolant fluid that allows the highest possible packing density while maintaining reliability. Applications: we evaluate all these technologies using real High-Performance Computing (HPC) and Big Data Applications –from HPC simulations to Business Intelligence support– running on a real prototype at the scale of many hundred nodes containing thousands of compute cores. Furthermore, we tune our firmware, the systems software, libraries, and such applications so that they take the best possible advantage of our novel communication and storage architecture: we support task-to-data software locality models, to ensure minimum data communication energy overheads and property maintenance in databases; and we provide a platform management scheme for big-data I/O to our resilient, unified distributed storage compute architecture. We are a project in a group of projects ( FETHPC-2014(a)) that develop the technology needed for building the next-generation of High Performance Computing (HPC) Systems, also known as “Supercomputers” –the Exascale-level HPC systems, i.e. those achieving performance in the range of 1 ExaFLOPS = 1018 FLOPS: one quintillion FLoating-point Operations Per Second. ... while keeping electric power consumption constant! Large supercomputers already consume a few tens of Mega-Watts –like a town of a few tens of thousand of people, each. Neither electric power companies nor society can afford to spend more than that for supercomputing. Thus, in order for progress to be sustained, we need each computing core to spend less Watts of electicity, if we are to integrate more cores in a supercomputer. 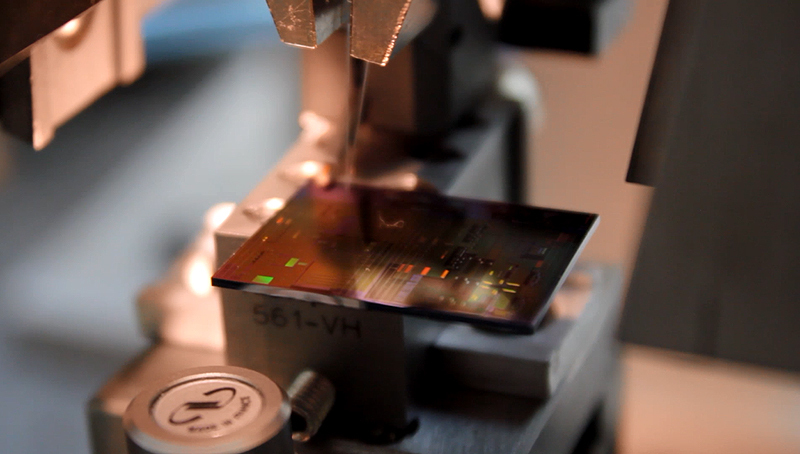 For that reason, in this project, we use computing cores designed by ARM, as opposed to more electricity-hungry processors used by other HPC systems. 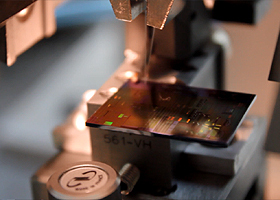 ARM –a European company– is the world-leader in low-power-consumption processors, which is teh reason why it already dominates the mobile-phone market; owing precisely to this low-consumption advantage, ARM processors are now moving into Datacenters and into HPC. 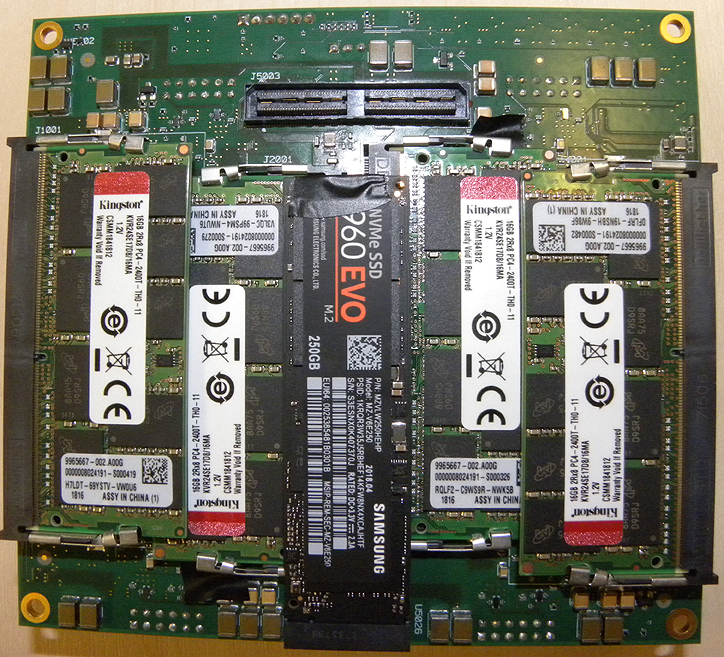 The computing “chiplets” that we use are provided to us by the previous EuroServer and the concurrent ExaNoDe projects. 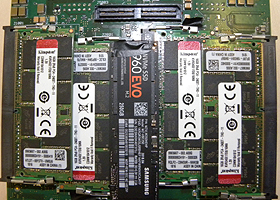 New Storage technologies have appeared, in the meanwhile: flash memories are already out in the market, and various other kinds of non-volatile memory are little-by-little emerging out of multiple research labs. These are all (much) faster than the traditional hard-disk drives (HDD), and as their capacities grow to become comparable to HDD, they become the medium of choice for the upper level of the persistent storage hierarchy. As a result, storage now becomes much faster than it used to be, which brings along radical changes in its organization; we take part in this storage architecture revolution. When millions of computing cores cooperate in solving a problem, they need to communicate with each other. 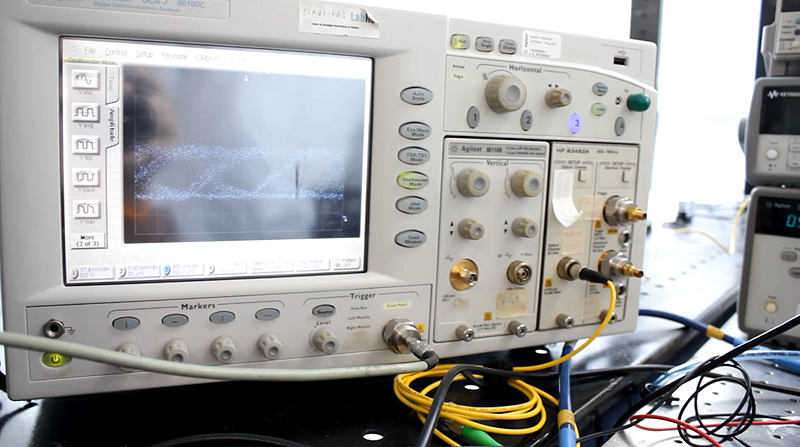 Communicating a number from one chip to another, today, takes orders of magnitude more energy than making an arithmetic operation on this number, on-chip. A large portion of this energy is wasted in copying the communicated data from one memory buffer to another; additional energy is spent in running complex networking protocols in software. We use the UNIMEM architecture from the EuroServer project: its Global Address Space allows communication using Remote Direct Memory Access (RDMA) operations, which deliver data in-place and avoid receiver-side copying. On the sender side, the Input/Output Memory Management Unit (IOMMU) and DMA Engine Virtualization allow user-level initiation of RDMA operations, thus avoiding expensive system calls and data copying. UNIMEM also allows remote DRAM borrowing and remote load/store instructions, which enable remote-mailbox and remote-interrupt notifications for low-latency protocols. Network Congestion is an important and hard problem to be dealt with in all large network that aspire not to be permanently underutilized. TCP/IP solves it for the internet in an inefficient, expensive, and long-time-scale manner; other solutions, in hardware, have been tried, with better but non-ideal results. 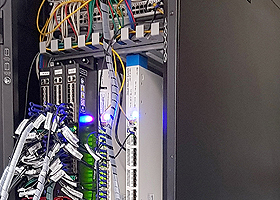 We develop novel solutions for Quality of Service (QoS) –including congestion management– in the interconnection network, always keeping the "data plane" (frequent-case) operations in hardware and only performing infrequent control-plane operations in software. 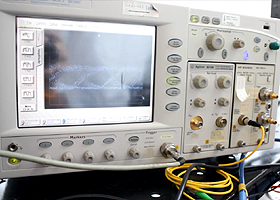 We target our solutions to large networks with many flows, while keeping hardware state down to a reasonable cost. In the domain of data persistence, we place Storage devices (flash or other non-volatile memories) with the compute nodes rather than in a centralized location, e.g. behind a network (SAN/NAS). We introduce extensions to a parallel file system in order to take advantage of such devices as cache layer. Moreover, we design cache maintenance protocols based on the concepts of UNIMEM memory consistency model. On top of that, we plan to provide replication-based resilience, protecting the filesystem by focusing on metadata integrity. 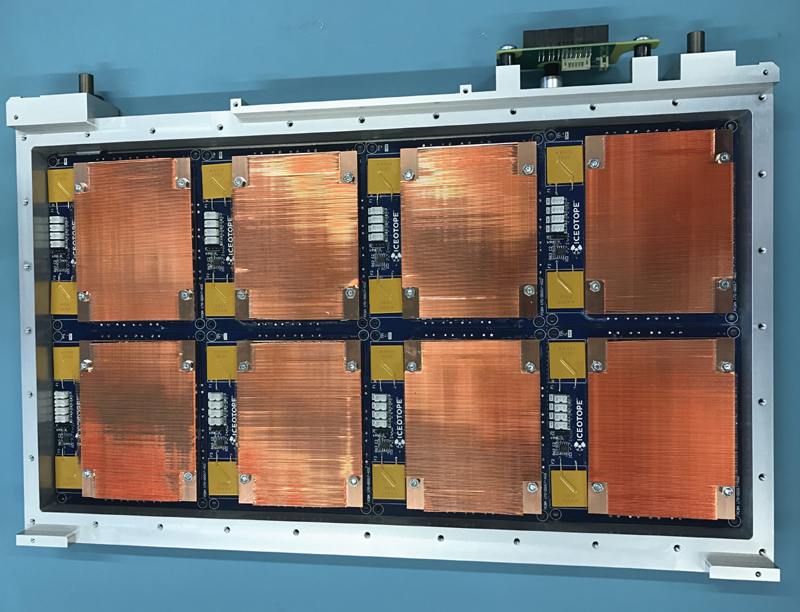 FORTH, a major European Research Center in Greece, coordinates the project and builds the hardware Prototype that will eventually contain a few thousand cores. FORTH also contributes to the interconnection architecture, with emphasis in low latency and congestion management, and to the systems software with emphasis in low-overhead communication. 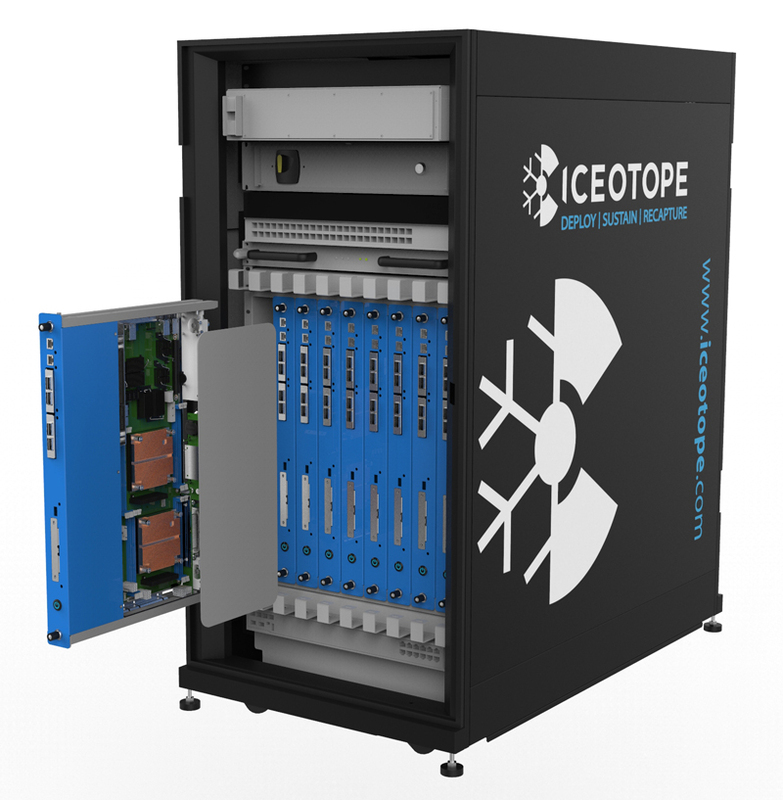 Iceotope designs and manufactures scalable and robust high performance computing systems. Iceotope's technology is fully immersed in warm liquid to effectively cool components, and reduce energy costs and consumption, overall offering a sustainable product. 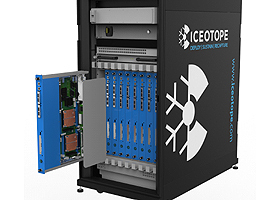 Iceotope leads the Technology and the Dissemination and Exploitation work packages, to develop a novel heat transfer method for much higher power density, providing the system packaging and cooling technology. Allinea creates development tools and application performance analytics software for HPC, which it adapts and applies to the ExaNeSt architecture, especially for debugging and profiling. EnginSoft is a premier consulting firm in the field of Simulation Based Engineering Science, and leads the Integration and Evaluation Workpackage. eXact Labs is an SME in the HPC domain working on the porting and tuning of scientific applications in the material science and weather forecast area. MonetDB Solutions is the technical consulting company for MonetDB, an open-source in-memory optimised column-based relational database system. The company is porting MonetDB to the ExaNeSt architecture for an indepth comparison and evaluation using selected (real-world) workloads. MonetDB Solutions leads the Storage and Data Access Workpackage. Virtual Open Systems is a French high-tech start-up software company active on KVM virtualization and Linux kernel. In this Project, Virtual Open Systems develops virtualization technologies for HPC, in order to allow the nodes of an application to run under Virtual Machines that can be dynamically migrated; among others, this is used to improve communication and sharing. INAF is the Italian National Institute for Astrophysics; its Trierste Observatory leads the Exascale HPC Applications Workpackage, and adapts theoretical physics and complex systems simulation codes to the ExaneSt architecture. INFN is the Italian National Institute of Nuclear Physics; besides owning a rich HPC infrastructure, it has also developed, itself, such systems. 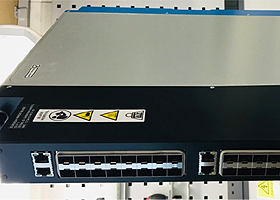 INFN participates in the design of the low latency interconnect, and takes also part in the activities on storage and on applications. The Univ. 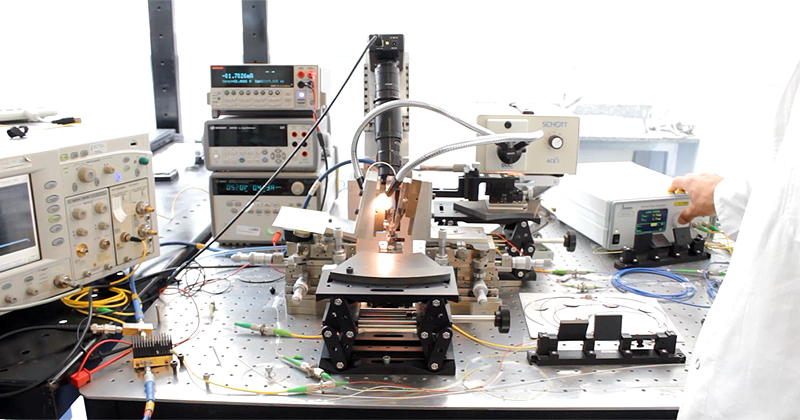 of Manchester, one of the top research universities, leads the Interconnects Workpackage, with a strong focus on the simulation of very large networks; it also takes part in the design of the packaging organization and in the overall system avaluation. The Techn. Univ. 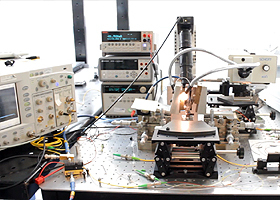 of Valencia conducts our research on optical network architectures, especially by exploring the impact of different link and switch technologies within the optical parts of the network. And Fraunhofer, Europe's largest organisation for application-oriented research, contributes the research towards highly-scalable storage solutions, based on the distributed file system that it has previously developed. These projects collaborate on sharing of experimental platforms that are capable of working on the development and evaluation of the Unimem architecture. 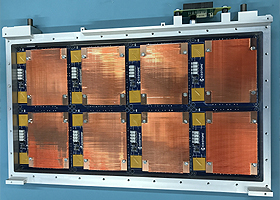 They aim to implement of a Unimem-based MPI runtime to support HPC applications and to utilize FPGA-based accelerators for improving computational performance and energy efficiency. Another target is the selection of application programs that can be used for evaluation. The four projects are closely collaborating for the organization of joint workshops disseminating their activities. An advanced memory scheme for Exabyte level capacities. 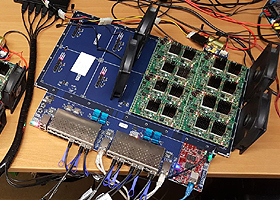 The ExaNoDe project will deliver a prototype that will enable the deployment of interposer-based SoCs and the evaluation, tuning and analysis of HPC critical kernels and the associated software stack. Driven by the characteristics and trends of future HPC applications, ECOSCALE will co-design a) novel HPC applications and b) the novel hierarchical UNIMEM+UNILOGIC architecture in order to reach exascale performance while achieving exascale class energy-efficiency. The novel UNILOGIC (Unified Logic) architecture, introduced within ECOSCALE for the first time, is an extension of the UNIMEM architecture, proposed within the EUROSERVER project. UNIMEM provides shared partitioned global address space while UNILOGIC provides shared partitioned reconfigurable resources. The UNIMEM architecture gives the user the option to move tasks and processes close to data instead of moving data around, thus reducing significantly the data traffic and related energy consumption and delays. 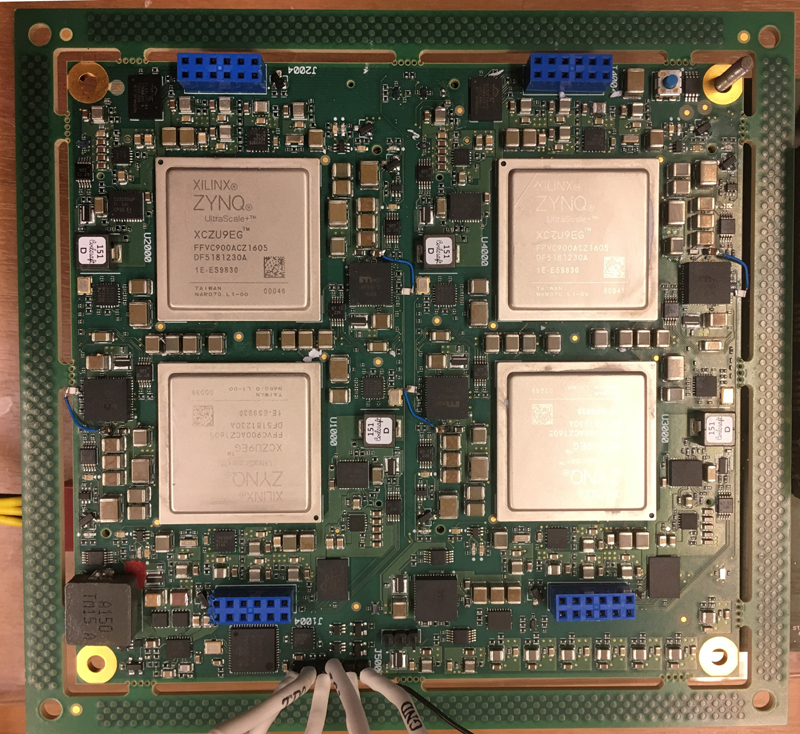 EuroEXA targets to provide the template for an upcoming exascale system by co-designing and implementing a petascale-level prototype with ground-breaking characteristics. To accomplish this, the project takes a holistic approach innovating both across the technology and the application/system software pillars. EuroEXA proposes a balanced architecture for compute and data-intensive applications, that builds on top of cost-efficient, modular-integration enabled by novel inter-die links, utilises a novel processing unit and embraces FPGA acceleration for computational, networking and storage operations. EuroEXA hardware designers work together with system software experts optimising the entire stack from language runtimes to low-level kernel drivers, and application developers that bring in a rich mix of key HPC applications from across climate/weather, physical/energy and life-science/bioinformatics domains to enable efficient system co-design and maximise the impact of the project. Duration: 01 Dec. 2015 – 30 Nov. 2018 (36 months).